We love to give our guests a fun trip, but it’s spiritual conversations like this that keep us going. I have no idea what impact this conversation made, but I had the opportunity to share the good news of Jesus Christ, and I know it was at least a seed planted. Perhaps this is what they needed to get them started thinking. As fall begins, we’re thankful for such a safe and effective summer! We had an incredible team of guides who took over 1300 guests down the river on single-day trips and about 125 guests out for week-long trips. We sent out our first backpack trips in the Sangre de Cristo Mountains. We witnessed several baptisms, saw God work in exciting ways, and know of 8 kids who received Jesus for the first time! Now that summer is over we’re beginning to focus on 2014. We have a lot to get done: designing and sending out marketing materials, booking trips, and replacing the Vessels for Honor signs and vehicle decals with new Journey Quest ones. We’ll need to raise funds to make our final payment for the rafting company and for personal support. 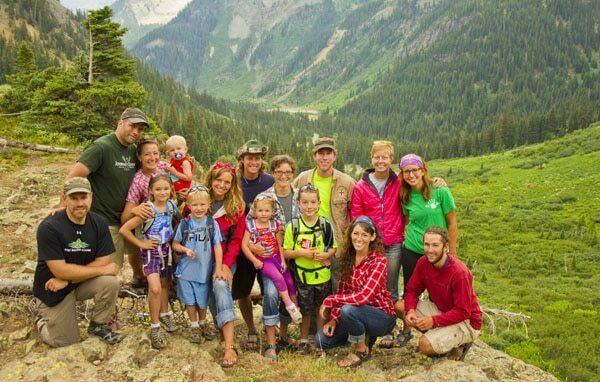 We hope to select our guide team for next summer by the end of January, and our newest year-round staff family, Steve & Mandy Reiff, will likely be here by the end of this year. At this point we already have 4 week-long trips booked and several more groups figuring out dates. It’s an exciting time! I’m so thankful for those of you who give sacrificially to support this work and my part in it. Please let me know how I can be praying for you. If you’re coming by the Cotopaxi area please drop by, and if you know anyone who would benefit from Journey Quest’s ministry, be sure to send them our way!